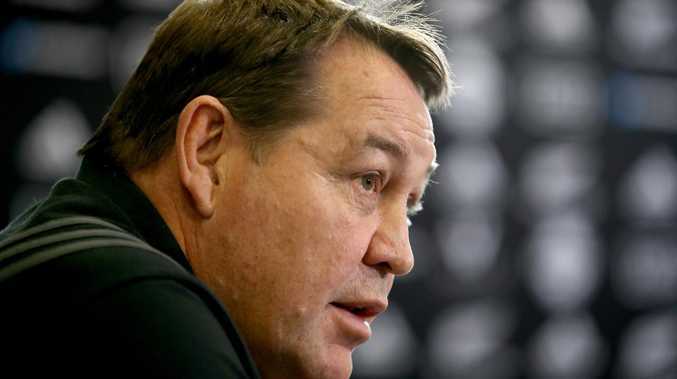 All Blacks coach Steve Hansen during a press conference. All Blacks coach Steve Hansen drinks from the Bledisloe Cup at Westpac Stadium. 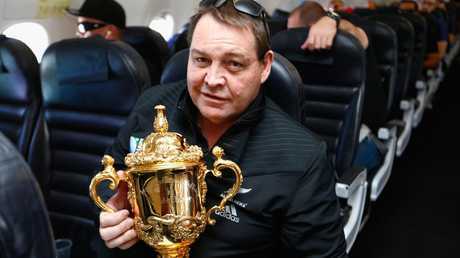 All Blacks coach Steve Hansen poses with the Webb Ellis Cup en route to Christchurch.